At last, after five years of uncertainty, the economy looks set for recovery. That is good news for PR professionals, as recruitment picks up and job opportunities arise. But who will benefit most from the economic climate? And how easy is it to hire staff when you are a growing company? Historically there have been labour shortages when economies climbed out of recession. It happened after World War Two and again in the early 1990s. Could the same be happening again? Usually journalists and their advertising departments keep their distance, but in a break with tradition, we have asked our commercial department to open its database containing more than 10,000 vacancies published in the past year. 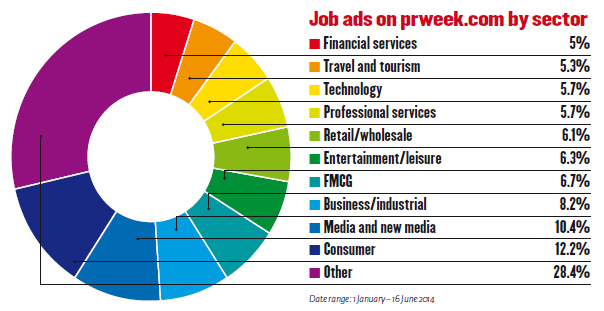 In May 2014, 1,825 jobs were advertised on the PRWeek website compared with 1,788 in 2013. The sectors receiving the most applications in the past six months have been government, travel and tourism and charities. The highest number of available jobs, however, are in consumer, media and new media, and business and industry, all sectors that typically use agencies. This reflects the fact that many candidates prefer to work in-house rather than for consultancies. "Agencies and in-house professionals operate very differently," says Gavin Ellwood, dir­ector of PR recruiter Ellwood Atfield. "In-house roles have job descriptions with agreed specifications and are usually more stable. Agencies, however, are driven by client demand. They are more entrepreneurial and more reactive, so there is a tension between resources and workload. Some people are suited to either, few to both." Candidates looking for in-house roles usually seek stability, more regular working hours and flexible conditions coupled with good salaries and benefits. "There has always been more movement in agencies, but every role has its pros and cons," adds Ros Kindersley, managing director of JFL Search & Selection. "In-house comms are supporting functions and as such they are not part of the core business. Especially in small organisations, where the communications unit is made of only one person, in-house roles can be quite lonely and isolated. 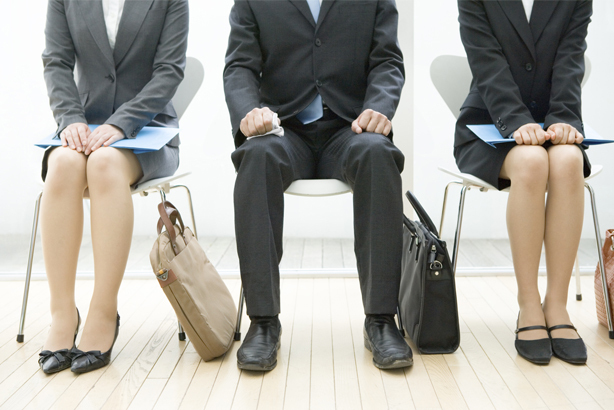 The pace of work is different and a few times we have seen candidates going back." One trend spotted by PR agency Ketchum is that, compared with several years ago, job seekers want to tick more boxes. "People are more cautious when changing company," says Stacey Neighbour, associate director of talent acquisition at Ketchum in London. "In the past, they were looking for a salary increase and the next job title. Now they consider issues such as nature of the job and opp­ortunities for skills development." Looking at salaries, there are a lot of vacancies and proportionally few applications for jobs in the £30,000-£40,000 range, which corresponds to senior account manager and account director levels. "Account directors and senior account directors are the most difficult positions to fill," says Neighbour. "This is the real sticking point at the moment," confirms Ellwood. "Especially at this level, agencies lose people to in-house roles, often in the quest for a better work-life balance associated with having children." According to Kindersley, the shortage of skills in these functions is a result of the recruitment freeze during the economic crisis: "We saw the same trend after the early 90s recession. Very few people have been hired in the past five years, both by agencies and on the client side, so skills have not been developed for the positions available now." One solution suggested by headhunters is to up the stakes and be more flexible on demands and conditions offered to candidates, for example in job specifications and benefit packages offered. Another option is to invest in the development of younger talent. All the evidence suggests that there is a large pool of young talent wanting to get into PR. 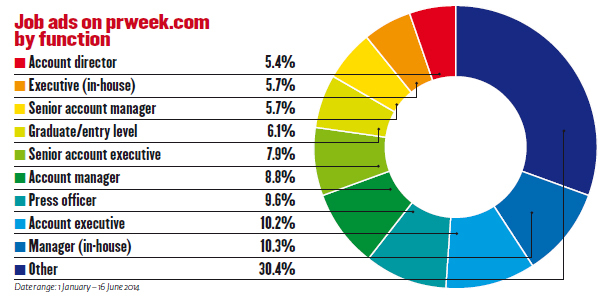 Entry-level jobs and roles such as junior press officer and account executive (occupations in a salary range of £15,000-£25,000) get the highest rate of applications on the PRWeek website. So there is a lot of interest in the sector from graduates. Kindersley says: "Young talent of the right calibre are quick learners and have great development potential. "After all, the Global Talent Index report published by the Economist Intelligence Unit in 2011 says that firms worldwide increasingly recruit "raw potential" and devote more time and money to employee development than in the pre-crisis period. A noticeable although hardly surprising feature of the market is the dominance of London. With about 70 per cent of the advertised positions, London has the lion’s share of the job market, followed by the North West and the South East. But that does not mean talent is not available elsewhere. "The PR scene in the UK is focused on London but there is a massive swathe of talent that does not go anywhere near London," says Graham Goodkind, founder of Frank PR, which has a branch in Manchester. In addition to the quest for experienced candidates, the market is desperate for the new competencies demanded by the digital revolution. Until a few years ago, digital skills were required for specific online roles and were seen as a useful asset for traditional comms. Today, they are imperative across all functions. Kindersley says they are fundamental and she goes as far as comparing them with the ability to use the phone. Of course, many opportunities are still available within the distinct online remit, but other comms disciplines are becoming increasingly integrated with digital. "Clients do not want silos and divisions. Agencies are integrating roles and this has increased demand for this type of skill," says Ellwood. And Neighbour confirms the staff Ketchum recruits at all levels must now have excellent digital credentials: "A few years ago finding talent with digital skills was a challenge; now the market is more stable." According to Paul Sykes, managing director of Michael Page Marketing & Digital, agencies have been particularly good at developing their own digital talent. "The pace of investment in digital has far outstripped the ability of individuals and companies to build the necessary skills," he says. "In all sectors there is a shortage of candidates with a high degree of technological knowledge and as digital expands, the skills requested are becoming more and more specific." PR competes in this area with rivals in other marketing disciplines and the media, but also with growing sectors, such as online trade, IT and new media, all of which are attractive to prospective digital gurus. The solution? Investment in the rapid development of digital skills, both by companies and at individual level. Possibly, this will make it easier to move through different roles and sectors, widening opportunities for the future. As for the upper end of the job market, with salaries of more than £60,000, our database shows that there are clearly fewer vacancies but also, proportionally, the fewest applications. In this area PR is more likely to compete with other economic sectors, or even with other countries. Overall, however, the PR job market in the UK is buoyant. The economy is recovering and, driven particularly by the explosion of social media, there is growing demand from companies for reputation management. It is no coincidence, says Kindersley, that the highest number of advertised jobs is in corporate comms. "Appetite for information is greater than ever and organisations have to manage their reputations in a way that was far less important 30 years ago. At that time most firms did not even have a communications director," says Ellwood. All recruiters agree that the war for talent is being fought in every business sector: everyone wants highly skilled professionals who have initiative and get results. The UK is well positioned. In 2011 the Global Talent Index ranked the UK 12th among 60 countries for the capacity to develop, attract and retain talent across the board. But the report also highlighted the lack of "resilience, adaptability, intellectual agility and versatility" or the ability to deal with change as the major shortcoming of managers worldwide. When applying the principle of constant change to the PR sector, it is clear that in the long run the winners will be those able to keep abreast of change while nurturing the stars of the future.